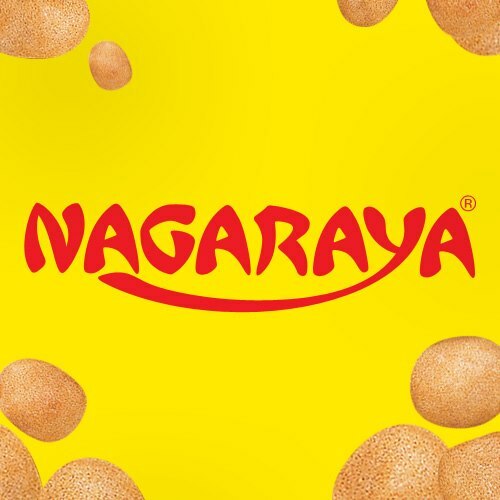 Nagaraya is a brand of cracker nuts produced in the Philippines by Food Industries Incorporated. They are composed of a peanuts surrounded by a wheat flour-based coating. The texture is similar to Wasabi peas, but with a nutty flavor that comes in four different varieties. Nagaraya originated in the country of Mexico, where in the 1940s a Japanese immigrant by the name of Yoshigei Nakatani Moriguchi invented Japanese peanuts widely known in the Spanish-speaking world as cacahuates japoneses or maní japonés. The Mexican version’s recipe for the extra-crunchy shell has ingredients such as wheat flour, soy sauce, water, standard sugar, MSG and citric acid. Famous Nagaraya product flavors are Original Butter, Barbeque, Adobo, Hot and Spicy, Garlic. Ingredients of the original Nagaraya: Peanuts, wheat flour, sugar, food starch-modified, butter,and iodized salt. Barbecue flavor’s ingredients: Peanuts, wheat flour, sugar, food starch-modified, flavoring, iodized salt, vegetable oil and flavor enhancer monosodium glutamate.